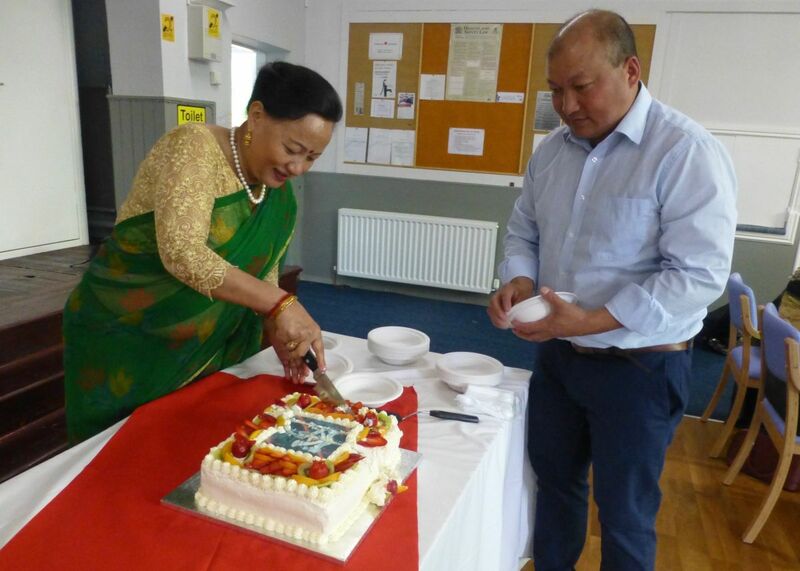 The Northern Branch of the 10 Gurkha Rifles (10GR) Regimental Association held their annual celebration of the Regiment’s birthday on 12th May 2018 at the Bridge Community Centre in Catterick, generously assisted by the Officer Commanding of the nearby Gurkha Company, Major Prem Gurung MBE. 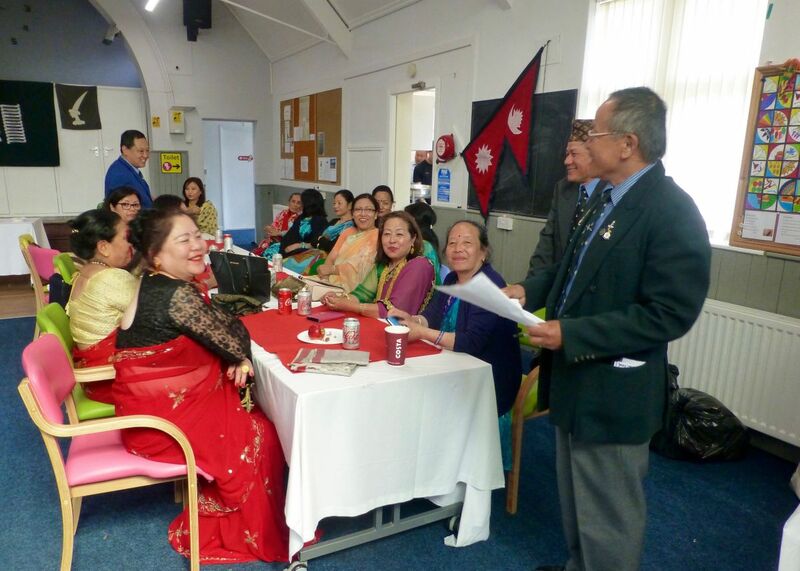 Exercising his customary skill and enthusiasm, Major Laxmi Bantawa MBE called up as many ex 10GR and families as he could find from a large area stretching from Doncaster all the way up to the Highlands of Scotland. Over 40 arrived for noon at the very smart and spacious Community Centre. But before that a team of helpers had been hard at work arranging wall decorations, seating, tables, food and drink. 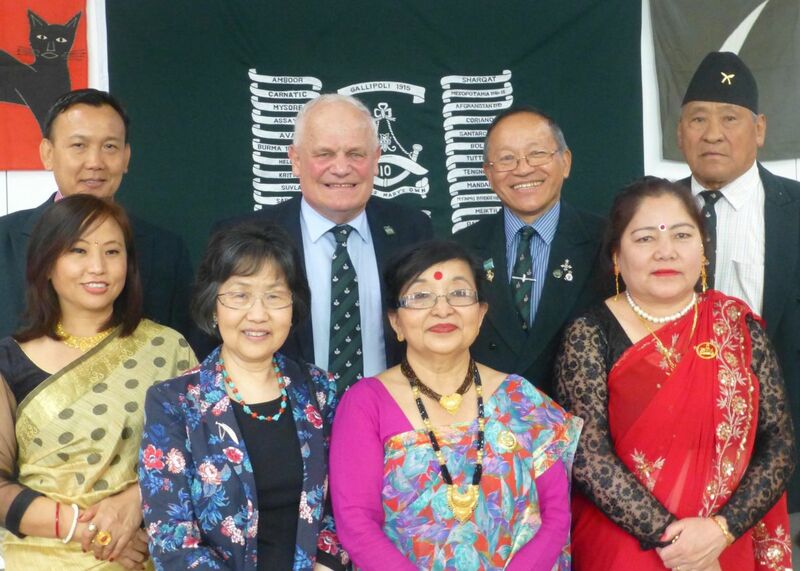 We were delighted to meet our special guests from Gurkha Company, Captain Binod Kerung and his wife Dewarki. Major Laxmi gave a speech of welcome and Major John Patchett followed with his history of 10GR, delving back to Madras Native Infantry days, as well as accounts of actions since 1890, when the Gurkha title was first used. It turned out to be Major Patchett’s 71st birthday and furthermore he had spent exactly half his life to date unmarried before the ‘second half’ of 35 years and 6 months as a family wallah. He illustrated his talk with A4 prints, including one of him commanding a company at the Sungei Patani POP. More joy was produced by his birthday drinks and we then remembered in silence all those who had died serving with 10GR from 1890 to 1994. Next Captain Binod gave a very interesting talk on how recruits of today compare with their predecessors and what might happen next. 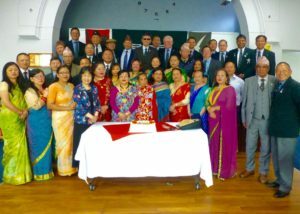 By this time we had been joined by Major Prem and three more Officers from Gurkha Company, who came straight from hosting a lunch for the Nepalese Ambassador. They were very happy to meet some of the ‘Old and Bold’ who included Malaya and Borneo Veterans Captain Kabitman Rai and Corporal Jokbahadur Damai. We were also pleased to meet them and hear how much they enjoyed serving in Yorkshire. On then to a group photo and the traditional cake cutting with a kukri, carried out by the senior member present, Corporal Jokbahadur. A delicious meal followed and the drinks flowed along with the beautiful cake. We were all happy to have met and joked with colleagues from so long ago, united by our membership of a small, proud group and inspired by the reassurances from Gurkha Company that the highest standards expected with the Brigade of Gurkhas will continue.